With the available tax breaks accessibility upgrades can be very nearly free. Almost all small businesses qualify for tax credits and tax refunds for any ADA work you do. But amid the constant stories of lawsuit abuse, unpremeditated barriers, predatory lawyers, and nefarious corporations, the really valuable information tends to get lost. One of the most important pieces of information is the available tax benefits for businesses that choose compliance instead of doing nothing and living in fear of a lawsuit. That’s one of the things the government is woefully bad at. They say “Ignorance of the law is no excuse” then craft ridiculously complicated laws, like the ADA, and make almost no effort to educate the public. Still, inroads have been made. President Bush sent a “Tax Incentives Packet” which details some of the available benefits. Since then there has been less educational efforts, but the benefits are still available — if you know exactly what to ask for. But you’re probably thinking “What about the other half?” That’s where the Tax Refund portion kicks in. Section 190 of the Internal Revenue Code says that anything you spend on accessibility which doesn’t get covered by the tax credit is tax deductible, up to $15,000. Is your tax bill looming this year? Do some accessibility work and deduct it! 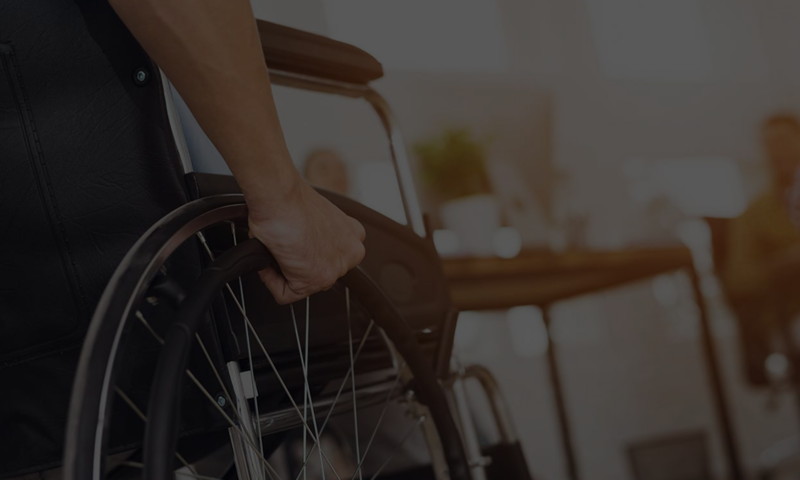 When adding together the tax credit and tax deduction, you get a total of $20,000 in benefit from the government for doing the ADA work that you’ll have to do anyway. Remember, although you can get all of this money back for doing the work, NOBODY will help you pay off a lawsuit. It’s much cheaper to get accessible in the first place than to wait for a lawsuit then get court ordered to make the fixes. If you’re in California, consider protecting yourself with CASp. CASp grants you legal breathing room so you can fix problems at your own pace. Without CASp, you really need to fix everything as quickly as possible before the dreaded lawsuit hits. Keep in mind that both the tax credit and tax deduction can be used each and every year. If you’ve got a CASp Certificate, you can do a little work each year — gaining the maximum possible tax benefit – and minimize the constant threat of a lawsuit. Utilizing these tax credits can pay for construction and the cost of our inspection. That’s money you would have had to pay in taxes anyway, so it’s really at no cost to you. Call us at 866 982 3212 or email us at help@accesssolutionllc.com today to get your free inspection.